The columns pane allows you to specify field aliases, aggregate functions, and define sorting, grouping, and criteria in a compact grid-like form. Complex expressions can be entered manually into the Expression column. Columns can be reordered by dragging, using the context menu, and shortcuts. 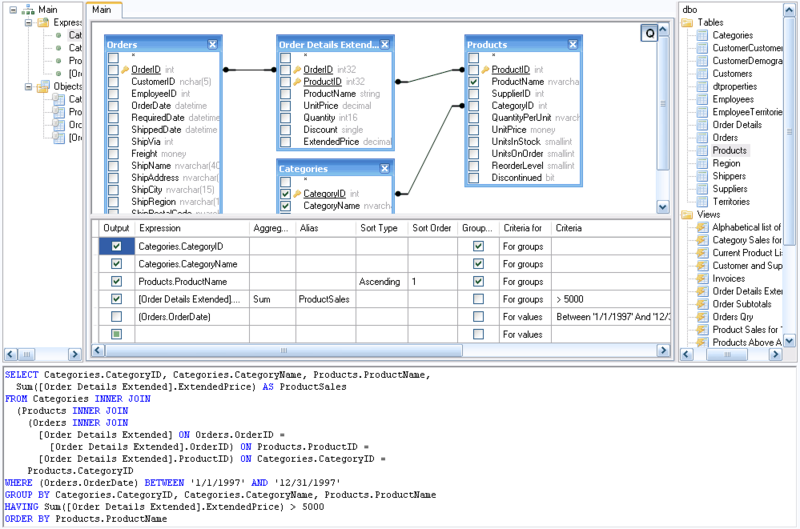 Active Query Builder keeps SQL queries with grouping always valid during the query building process by setting the corresponding checkboxes automatically.